Everything is set and ready for the 10th Annual Lagoon Reef Eco-challenge. 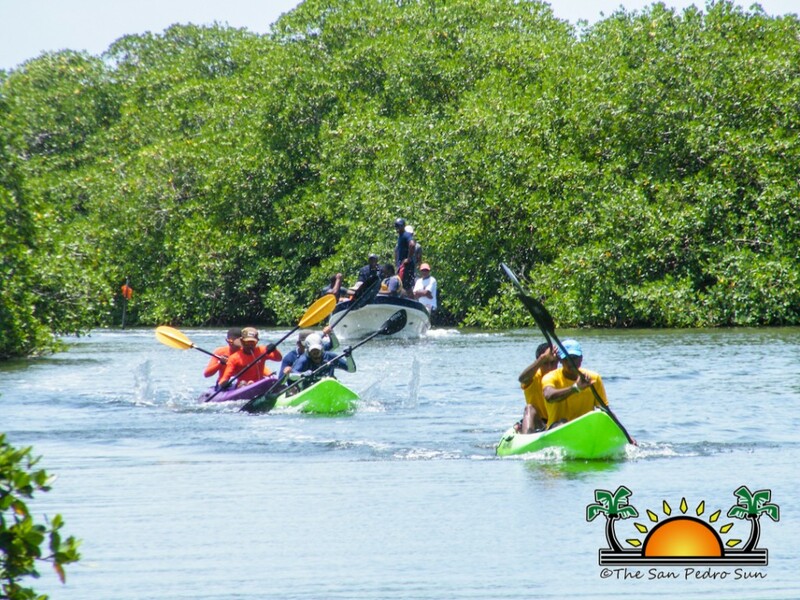 Taking place on Saturday, May 10th and Sunday, May 11th, the challenge will consist of kayakers paddling through San Pedro’s lagoons and sea in hopes of winning a grand cash prize. Organizer of the event, Elito Arceo has stated that this tenth anniversary race may be one of the best ever. Paddlers take off from El Embarcadero, on the lagoon side of the island, on Saturday at 7AM, making into the lagoon area of San Pedro. The first day of the race will take kayakers up to the Basil Jones Area in Bacalar Chico Marine Reserve where they will camp out for the night. The second day of the race kicks off on Sunday at 9AM as kayakers sprint from their campsite to Central Park, along the eastern coast of Ambergris Caye. Cash prizes will be given to the top three finishers: first prize will include $3,000 cash and a trophy, second prize will include $2,000 cash and a trophy, and third prize will include $1,000 cash and a trophy. Additional awards will be given for youngest team, oldest team, “dog tired” team, “I will never do this race again” team, last place team, most creative team, most eco friendly team, most fun team and even a Most Valuable Player award will be given! Other events will also be taking place on Sunday to coincide with the end of the race. According to Elito, The San Pedro Sailing Club will be joining the kayakers that day at the midway mark. They will be sailing along with them to the finish line. Adding to the excitement is a triathlon testing the endurance of young athletes. Scheduled to start at 10AM the triathlon will be divided into two categories: Juveniles (age 11 to 15) and Juniors (age 16 to 18). Juvenile competitors will be swimming 15 meters, followed by a two-lap cycle around town core, and a one-lap run around town core. Juniors will be swimming 35 meters, followed by an eight lap cycle around town core and a two lap run around town core. For more information, or to register for the race contact Kent “Bob” Gabourel at phone number 604-9013. For further information on the Eco-challenge contact Elito Arceo at 610-1690 or Kirah Foreman at 602-0227.